Former Minister of Education and co-convener “Bring Back Our Girls (BBOG) movement”, Dr Oby Ezekwesili has been adopted by the Allied Congress Party of Nigeria (ACPN) as its presidential candidate for the 2019 presidential election. Her candidacy of “Madam Due Process” as she was fondly called, was ratified at the party’s convention on Sunday in Abuja. The party had also re-elected its incumbent National Chairman, Alhaji Ganiyu Galadima, and other national officers for another four years. Speaking after her endorsement as the party’s presidential candidate and after she was presented with its flag, Ezekwesili said if voted as the country’s next president, she would ensure an all-inclusive government. She also promised to offer equal opportunities to all Nigerians irrespective of tribe or gender. 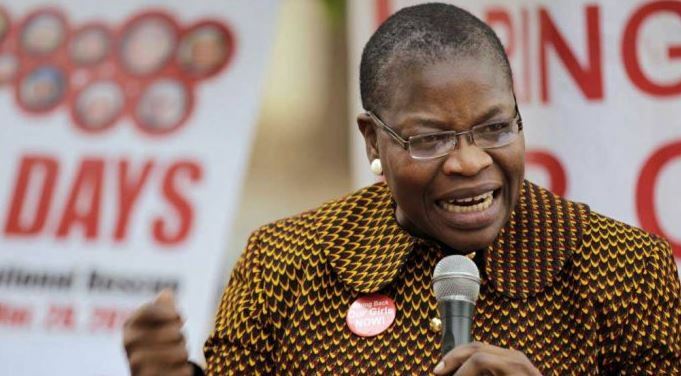 Ezekwesili, a former Vice President of the World Bank, said the 2019 elections would be a defining moment and would provide opportunity to unite and galvanise the potentials of the country. The 55-year-old Ezekwesili christened her campaign mantra as “Project Rescue Nigeria”. “I bring you a message of hope, that I and millions of supporters will march in solidarity to ensure that Nigeria gets a new focused leadership in 2019,” she said. Also speaking,the ACPN National Chairman, Alhaji Ganiyu Galadima, said the party was out to give hope to Nigerians, adding that Ezekwesili would not let Nigerians down. “We appreciate Ezekwesili for pitching her tent with the party and we have resolved to work with her to emancipate Nigerians,”he said. She was a co-founder of Transparency International, serving as one of the pioneer directors of the global anti-corruption body based in Berlin, Germany. Ezekwesili had been at the fore front for the demand for the freedom of all kidnapped girls, especially that of the Chibok girls and the Dapchi girls kidnapped by Boko Haram insurgents.